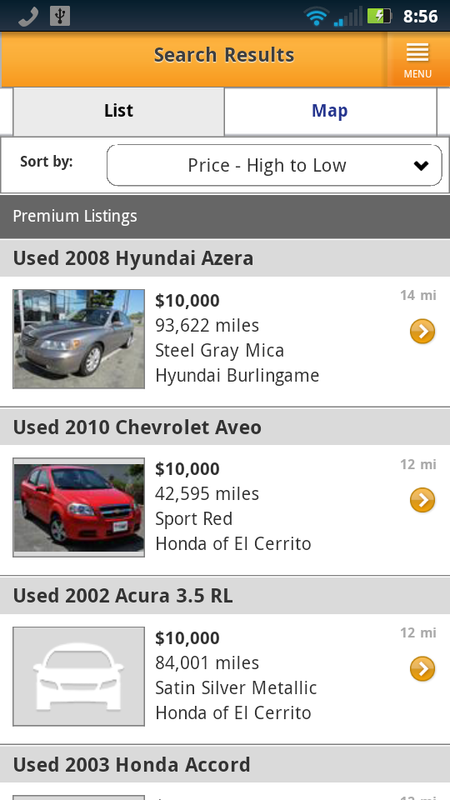 Founded in 1997, AutoTrader.com is the US’s largest online automotive marketplace. 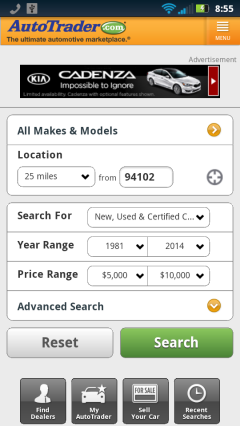 Sell your car or shop for one using Autotrader’s searchable database of millions of new and used cars from thousands of dealers and private sellers. 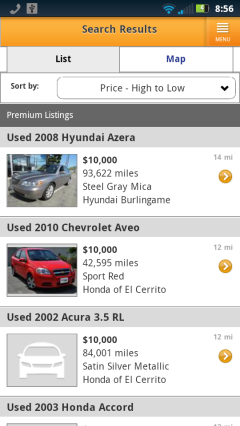 AutoTrader uses a separate mobile site. Mobile browsers visiting the main autotrader.com URL are redirected to the mobile site at m.autotrader.com. The mobile site which is a “one size fits all” design. There doesn’t seem to be any attempt to adapt the page to different categories of mobile browsers. Page sizes are relatively large which is likely to be problem for users with slow or metered data connections. On a reasonably fast connection usability is very good with intuitive workflows and short click paths. This entry was posted in Shopping and tagged autos, mobile site review by Dennis Bournique. Bookmark the permalink.